Here are a couple affordable solutions of what you can do to fix your Widow issues. 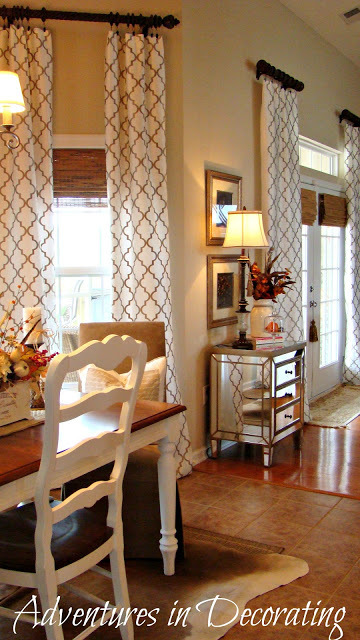 If you found curtains that you love (and can actually afford) at say Target, Cost Plus World Market or Pier One and they are only 84" but you need 96", try ordering them online from the same store in the lengths you need. No really, pretty much any panel you find at either of those stores have 96" lengths and sometimes even 108" available on their web sites for not that much more money! Trust me on this. You will be so much happier with your windows and your rooms if you order the longer lengths needed to make your "eye look up" . 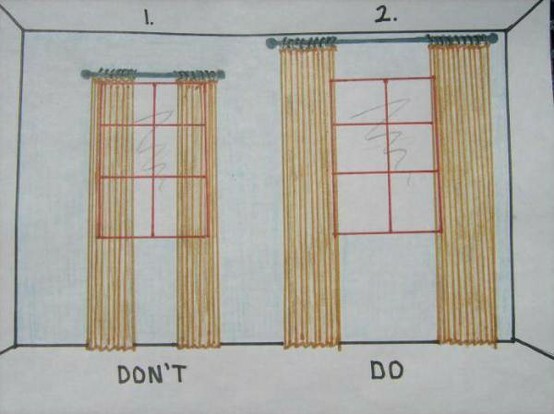 Here are some examples of curtains hung correctly. This trick works especially well with vaulted ceilings too. 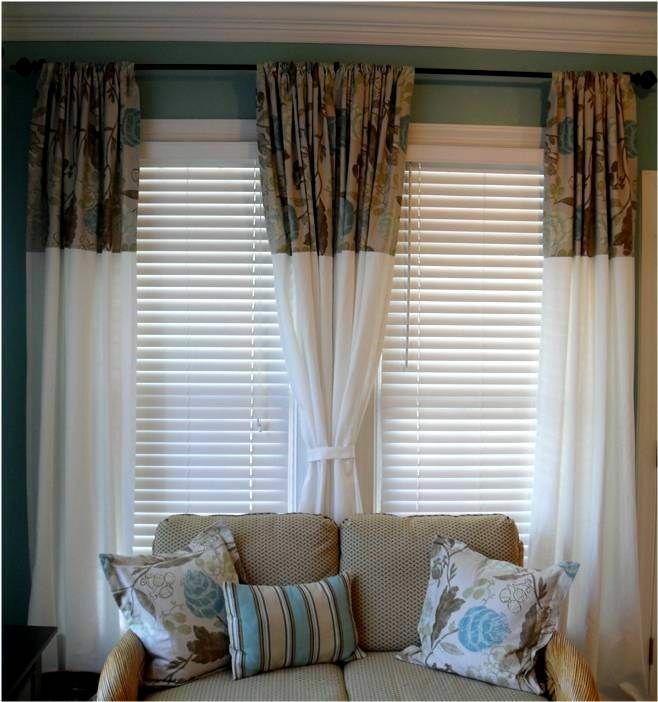 Another option is to add some length to the bottom or the top of your curtains to make them the length you need. For example, you can find some beautiful panels at Homegoods , TJ Maxx and Marshals for as low as $15 a panel. Typically these panels will be 84" long. What I have done for clients in the past is buy an extra panel or two in the same pattern or in a coordinating color and add the extra length needed to my other panels to make them the 96" or 108" . Weather you add extra fabric on the top or bottom of you panels, the results look amazing. See how beautiful these look and how much grander the window appears as a result? I know, amazing right? Can we all just agree, Windows are awesome! Another option is the stores Potterybarn, Williams Sonoma Home and West Elm to name just a few, all offer the longer lengths in their stores, and very rarely even have the 84" length at all. You will definitely pay a little more but they will be ready to hang as soon as you get home! (great quality too..) Also , going custom is always a wonderful option too. Find a seamstress (or you can do your own if you are awesome like that) and sew away! I used an amazing seamstress , who was also my amazing neighbor, and many times with the left over fabric she would make coordinating pillows as well. So many options! So, to wrap up this amazing tale about Windows and Curtains and Rods.....lets all remember one thing. For windows and in Life for that matter.... lets "Always Look Up!"